1st Impressions is a Professional Property & Grounds maintenence company, serving both Commercial & Residential clients. 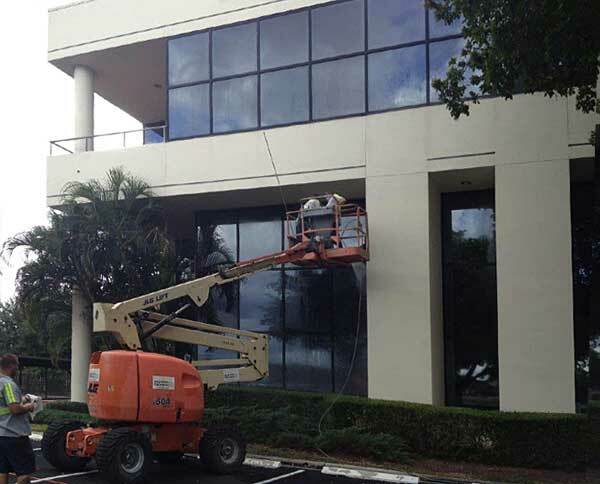 1st Impressions of Lee County, LLC is a parking lot cleaning, sweeping, and junk removal service in the Ft Myers area, dedicated to keeping the exterior of your residence or commercial business clean and inviting. When your clients and customers pull into the parking lot at your place of business, that first impression is more important than you might think. A poorly kept exterior reflects on the entire business, even though it might be spotless and beautiful inside. Caring for the exterior of your establishment can involve sweeping with sweeper truck, picking litter from curbs and landscape beds, pressure washing, notifying management of any broken or burnt out lights, problems with signs, pot holes, etc. that might only be noticed at night. You may not have thought about this before, but when you pull up to a place of business and have to walk thru trash or step in gum before getting to the front door, that experience can change the way you think about doing business at that establishment. We at 1st Impressions of Lee County are a locally owned and operated company. Our business is built on referrals from satisfied and happy customers. We can also be reached by phone anytime to take care of immediate or emergency clean up. Since our sweeping is mostly hands on by the owner, or checked by the owner, your satisfaction is guaranteed. We not only want to gain your business, we want to keep your business. You can be assured that whether your business is large or small, we will do our utmost to make sure you are totally satisfied with our service and your customers never have a negative first impression when entering your establishment. 1ST Impressions of Lee County, LLC started as a casual conversation with a friend and fellow associate who had been involved in a commercial sweeping business with his family. Millard Brown, an active Florida real estate broker, and Brad Washburn who also holds a real estate brokers license and was an operation specialist for the United States Navy, decided to look into the possibility of starting a sweeping business of their own. After much discussion and investigation of the commercial sweeping business they ordered a new 2008 Nite-Hawk sweeper truck and embarked on their new family venture. Being in the real estate business seemed a natural way to lead to commercial contacts and managers. Brad Washburn is the hands-on owner who constantly checks all the jobs. Millard Brown, on the other hand, takes care of all the billings, record keeping, and communication with clients. Since 2007 1st Impressions has grown into a well respected, full service commercial sweeping company with numerous clients such as Sears, Kmart, Publix, Albertsons, Target, Bed Bath & Beyond, Best Buy, Commercial Property Management Service, McGarvey Development, Commercial Property Specialist Inc, Downtown parking garages and more. Count on us to make sure your business always makes a great first impression!